If you haven't heard of Allie X yet, then you're seriously missing out. Katy Perry is a fan of this singer-songwriter, so we suggest adding her debut album, CollXtion II, to your playlist ASAP. And in the meantime, we're here to tell you a bit about her cool sense of style, particularly her choice in eyewear, which she has quite an impressive collection of—just take a peek at her Instagram. The 32-year-old singer-songwriter recently wrapped up her North American tour, but she made some time to tell us a bit about where her obsession with sunglasses comes from. And we found it quite relatable. "My obsession with sunglasses comes from a desire to feel comfortable," she shared with us. "The eyes are the most vulnerable part of the face, and sunglasses are a fashionable way to protect them." She adds that she is a very sensitive person, and if she is "feeling anything, it is very obvious in [her] face." So the sunglasses, in addition to being a stylish trademark of hers, also provide her with the comfort of concealment. It's no surprise then that she's racked up quite an enviable assortment of sunnies. So we asked her to pick out her five favorite pairs and tell us a bit about why she's so fond of them. We must say, her choices are really good. Get ready to press "Add to Cart" to all of them. Scroll down to shop Allie X's five favorite sunglasses. 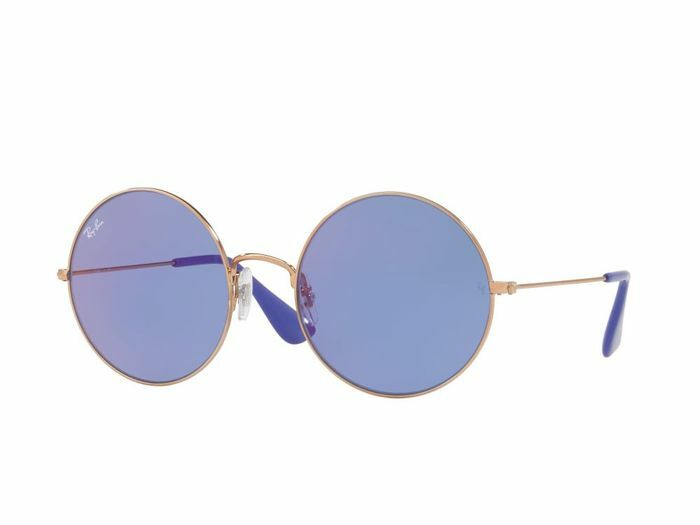 "These round dark violet Ray-Bans are my go-to. I wear them most days and for like 50% of live shows. I got them gifted at British Summer Time in Hyde Park last year." "Adore these peach mirrored Matthew Williamson glasses. These are the sunnies I wore at my very first concert as Allie X, so they carry a lot of importance that way. My lovely friend Renata gave them to me." "Stole these Ray-Bans from my sister. Don't worry, she's in Berlin. She doesn't even know (shhh). I have been wearing these quite a lot." "I wore these Thierry Lasry glasses for a talk show spot. I really love this line, particularly the angular shapes of the glasses." "These Retrosuperfuture glasses were gifted to me, and I love them. I also love the name Retrosuperfuture. Let's work together, guys?" Up next, read about the fall trends Lauren Conrad thinks will be everywhere.